Initially, what made you want to become a Roma mission coordinator? While studying theology at university, I also undertook social work, as I have – for some reason – always been interested in diaconia, in serving among those living on the periphery of society. And during the year I worked as an assistant pastor I encountered several Roma families through their children, and the prospect that I could work full time in this area – after a short detour in Kiskunhalas – really appealed to me. 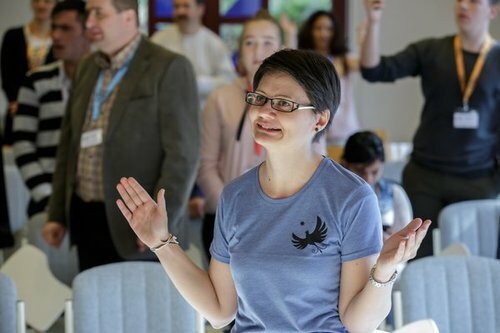 Looking back, it seems to be quite a bold decision on the part of the Mission Office and Eszter Dani to take me on at the tender age of 26 in a position of such responsibility – hardly had I received my degree in theology, I suddenly found myself in the Roma Ministry. Did you have any previous knowledge about the work within the mission? Not really. In my work I did my best to do what I was told, but in retrospect I see that the position of coordinator – by its very nature – requires you to include your own personality and perspective. For this reason, when we decided to try something new, or wished to extend the scope of our service and activities, it is not a coincidence that we ended up organising Roma mission camps for children: in 2016 in Tahi, and in 2017 in Zselickisfalud. I simply love being among children and youth, so it was natural for me, for us to come up with such an idea. Why did you find it important to organise these camps? On the one hand, we wanted to provide Roma and non-Roma children with experiential education and religious programmes, and on the other hand, we were figuring out whether we would be able to develop a model regarding what works and what does not when it comes to children. We found it important to involve children in the camp who have a congregational background, so that there would be a contact person reaching out to them during the year. And the camp had an additional layer: seeing how our Roma volunteers could act as role models for the children. 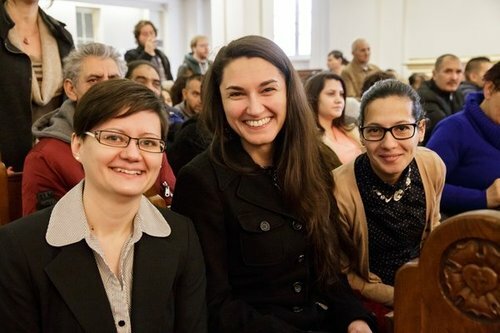 What was the first Roma Ministry event that you participated in? In February 2015, on the very first week at my new job, I took part in a conference called Reconciliation among Peoples, where a funny incident occurred. It was there that I met Edina Prikryl, who I felt was sizing me up with some suspicion, and it was only later that I learnt why: she had also applied for the same mission coordinator position. It is a miracle of God that since that initial meeting she has become one of my best friends. 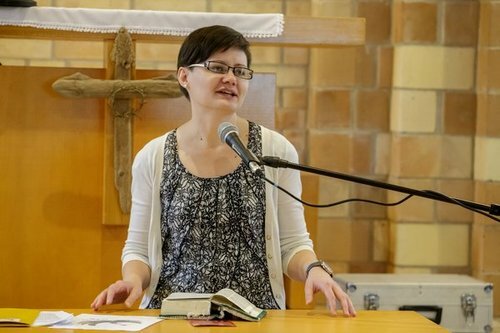 Her career path is admirable: for years, she was one of the most diligent volunteers at the Roma Ministry, and since May this year she has been working at the Synod of RCH as coordinator of the 2019 Starpoint Reformed Youth Festival. What was it that really struck you as good in these Roma Ministry events? I was struck, for example, by what these events mean to people. These are not just programmes to tick off on a list, but occasions where real community can be found. There are people who only meet a couple of times a year, living in different parts of the country, and they still keep in touch and think about one another. 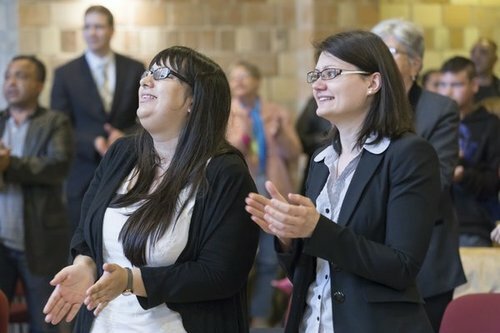 True and close relationships develop during these events – people come not only because of the programmes, but also because of the other participants. During the application period, there are always a series of inquiries regarding who else would be attending – people specifically ask about certain individuals or congregations. In your view, what is the significance of prayer days and conferences? 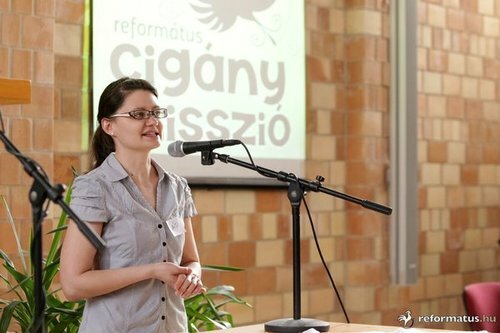 Prayer days, I believe, have a strong message: a group of people within the Hungarian Reformed Church gather to form a community of prayer for a certain cause. Thanks to the personal relationships I have mentioned before, people are able to be strengthened, feeling that they are not alone. Participants benefit from each other’s faith, and for this reason I was always in a festive mood while preparing for these occasions. When would you say the Roma mission is reaching its goal? As I have once put it, we are working so that we are no longer needed. And I mean it. If I truly believe that Christ has reconciled the world to God, and that each and every person is a creature of God, then how could there be anyone that I am not sharing the Gospel with? I have heard a pastor say that in their community there is no Roma ministry, but rather there are Roma people living there as well, so naturally we also serve among them, and we are together in a community within the congregation. Our aim is to make this great attitude more prevalent. What have these past few years meant to you personally? I was always touched by the feeling when someone confided in me despite only meeting them sporadically. We, Reformed believers frequently use the expression “Dear/Dearest Brothers and Sisters”, but in the Roma Ministry this sentiment is really palpable, and experiencing it is a real miracle that I constantly felt in every activity or discussion. Do you notice a change in yourself that occurred during the years spent here? Well, yes! My hair kept getting shorter and shorter! I feel I could tear out my ever shorter hair when I hear sentences like “I am not a racist but Roma people…” No! There is no such option! If you are really not a racist, then the statement ends with a full stop, and is not followed by a “but”. Either you can learn to view each and every person as one created in God’s image, a person who has been redeemed, or you cannot. Someone has recently told me that “Yes, there are valuable individuals among them as well”. We are all equally valuable, such a judgement is not up to us! What makes a person valuable is the fact that he has been created in God’s image. Did you hold the same opinion when you started your work as a Roma mission coordinator? Internally, yes, this has always been my basic attitude towards humans. But again, I would say that I have become braver in representing this view than before, both in terms of theology and in the sphere of pastoral care. A change, then, is undeniable, but have you gained anything from the Roma Ministry over the past three and a half years? First and foremost a huge number of friends, and deep human relationships. And also I am grateful for the stories I had the chance to hear. Is there any story in particular that has really moved you? It was always very painful to hear when Roma people said that the reason they do not attend church services is that they are scared to, because they have been asked to leave before or have been subjected to hostile looks from other church-goers. I have also heard countless times that they are afraid to say or read out anything, or to express their opinion among non-Roma people. I am ashamed on behalf of every person who made them feel this way. And I apologise for the hurt and rejection they had to experience in Christian communities. And looking at the other side of the coin, I can say that I have never ever experienced anything like that in Roma communities. Once we were travelling to the countryside to attend an event and I was the only non-Roma person sitting in the minivan, and my fellow travellers kept joking that I could easily be Ágnes Lakatos (a common surname among the Roma – translator’s note). And what about your professional life? I am grateful to have been able to visit so many places. Being a coordinator involves a lot of travelling, which can be a burden, but without it I would not have been able to go to so many different places. Encountering so many towns, congregations and individuals has definitely shaped my world view and my attitude towards people, issues and problems. 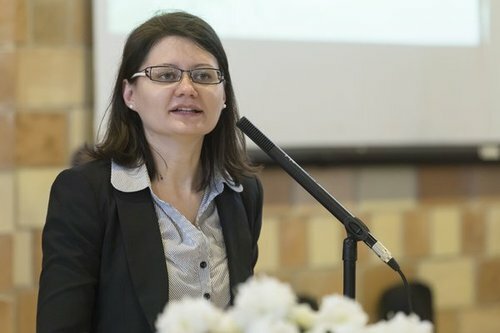 Were there any projects within the Roma Ministry that you immediately approved despite it not being a central issue of Roma mission? Yes, for instance when we organised a theatre play called “I Stand up for You” in cooperation with Anonymous Ways Foundation, which was then performed in Reformed congregations: the theme (the sexual exploitation of youth – editor’s note) is not strictly related to Roma mission, although it certainly affects Roma people as well, and the foundation works in a field which, to the best of my knowledge, has not been tackled by our church in an organised manner. 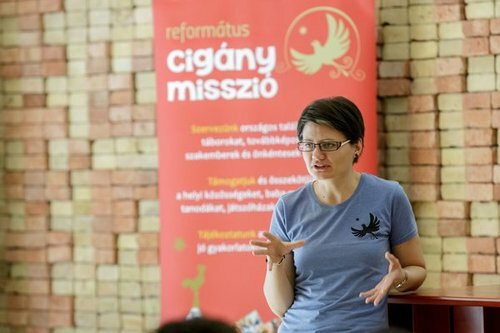 There is hardly any overlap between their activities and the National Roma Ministry’s mission, and yet together we were able to highlight an issue that is important for people to start discussing. Had I not been working as a Roma mission coordinator, I would probably never have been involved with this foundation, so this is definitely on my “list of gratitude”. If you had to sum up in a single sentence why you have decided to change jobs, what would you say? My motivation was to be closer to those whom I had been working for as a mission coordinator. While at the Roma Ministry, I was able to catch a glimpse of every possible thing, but now I can get closer to a certain aspect – and I am already feeling the Lord’s guidance in my new position.